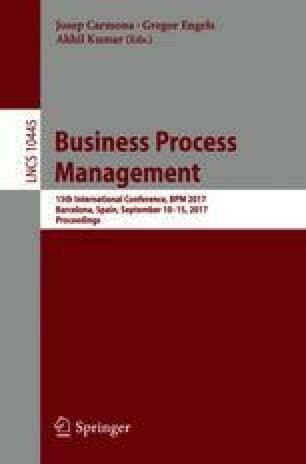 The monitoring of project-oriented business processes is difficult because their state is fragmented and represented by the progress of different documents and artifacts being worked on. This observation holds in particular for software development projects in which various developers work on different parts of the software concurrently. Prior contributions in this area have proposed a plethora of techniques to analyze and visualize the current state of the software artifact as a product. It is surprising that these techniques are missing to provide insights into what types of work are conducted at different stages of the project and how they are dependent upon another. In this paper, we address this research gap and present a technique for mining the software process including dependencies between artifacts. Our evaluation of various open-source projects demonstrates the applicability of our technique. This work has been partially funded by the Austrian Research Promotion Agency (FFG) under grant 845638 (SHAPE) and the RISE BPM project (H2020 Marie Curie Program, grant 645751). The second author was partially supported by PROAP/CAPES and fourth and sixth authors by the National Council for Scientific and Technological Development (CNPq), Brazil.